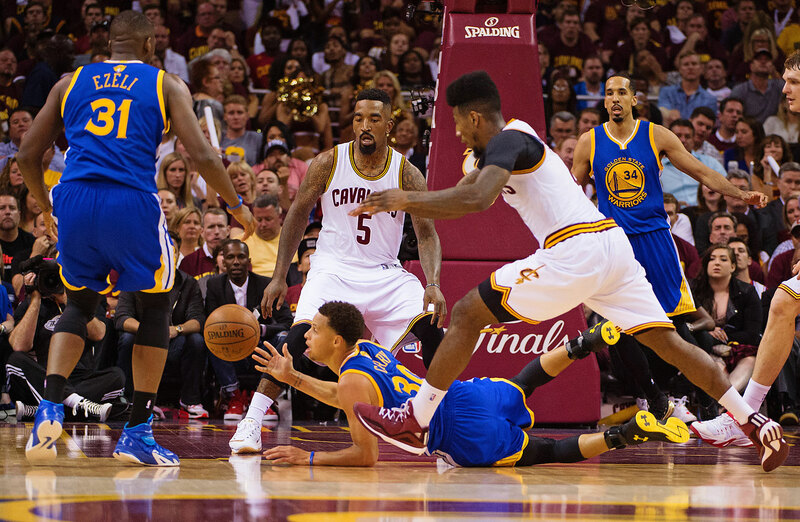 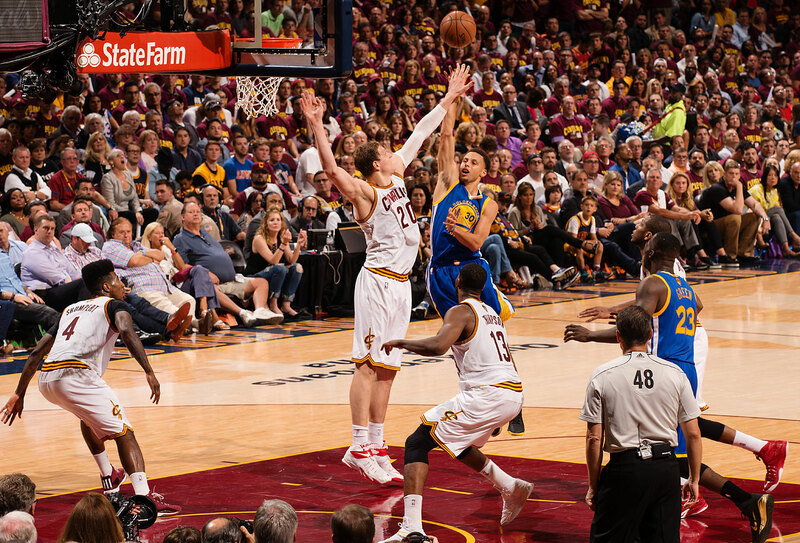 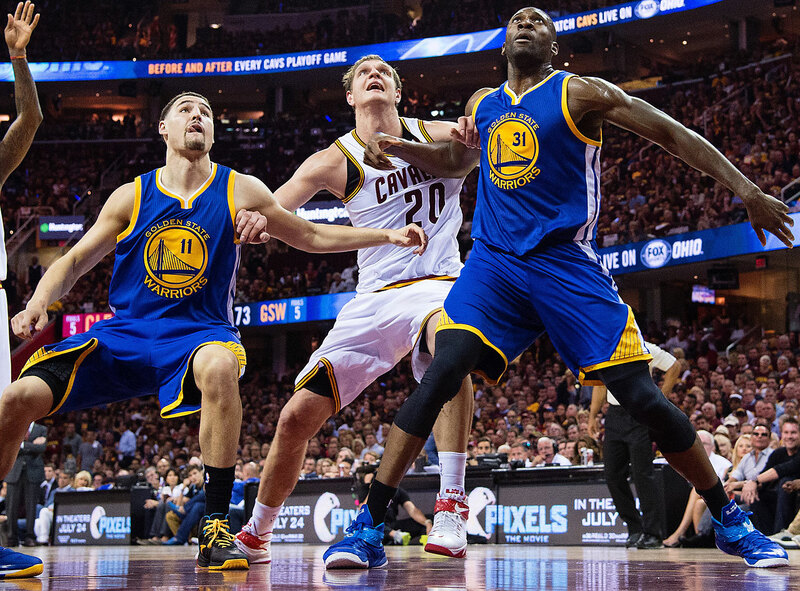 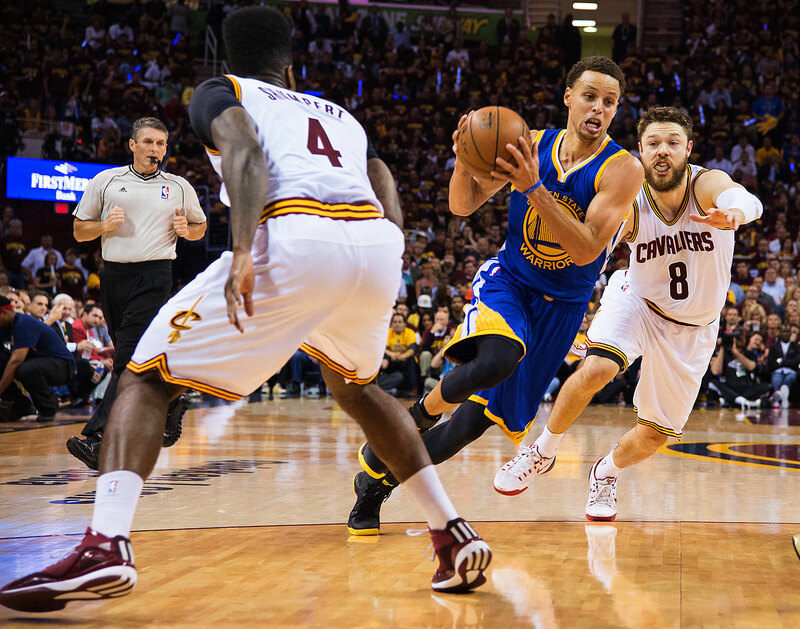 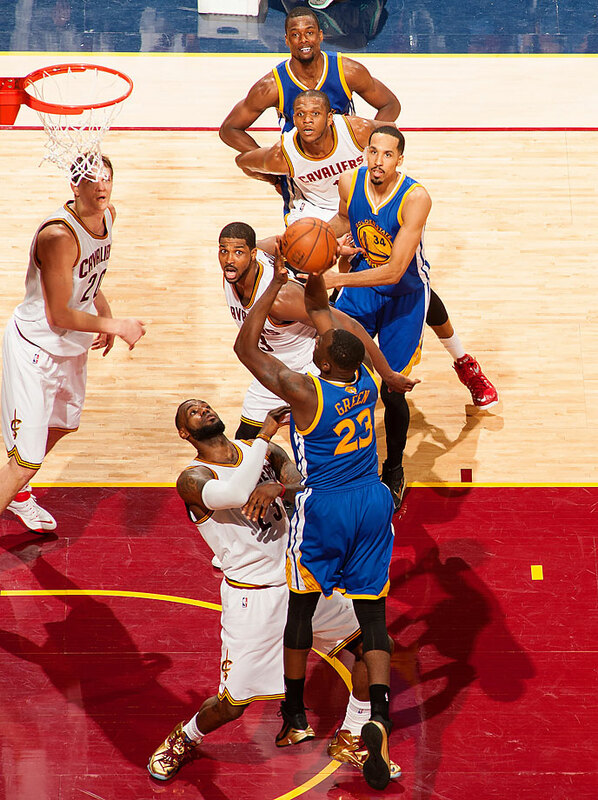 The Golden State Warriors are your 2015 NBA champions, defeating the Cleveland Cavaliers in six games. 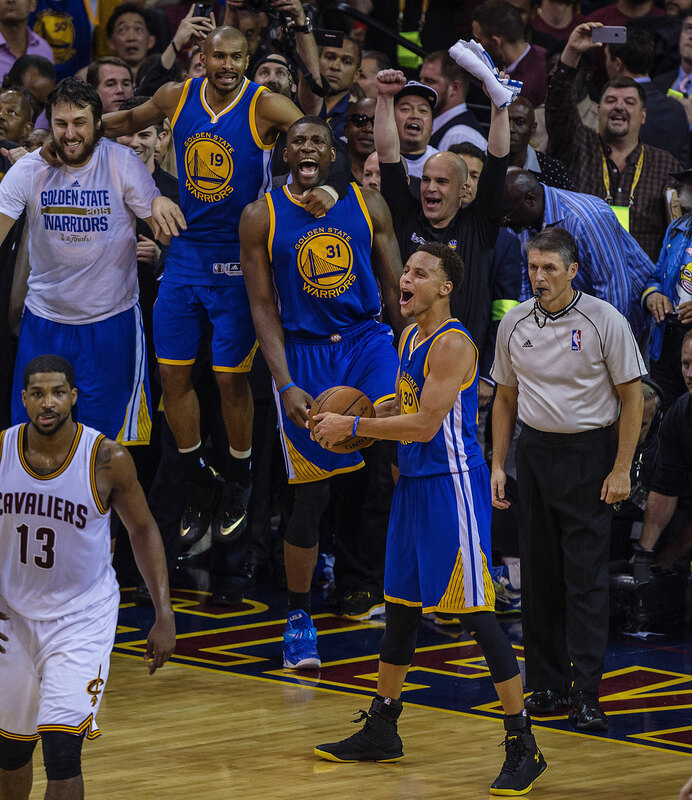 CLEVELAND—The Larry O'Brien trophy is headed to the Bay Area for the first time in four decades. 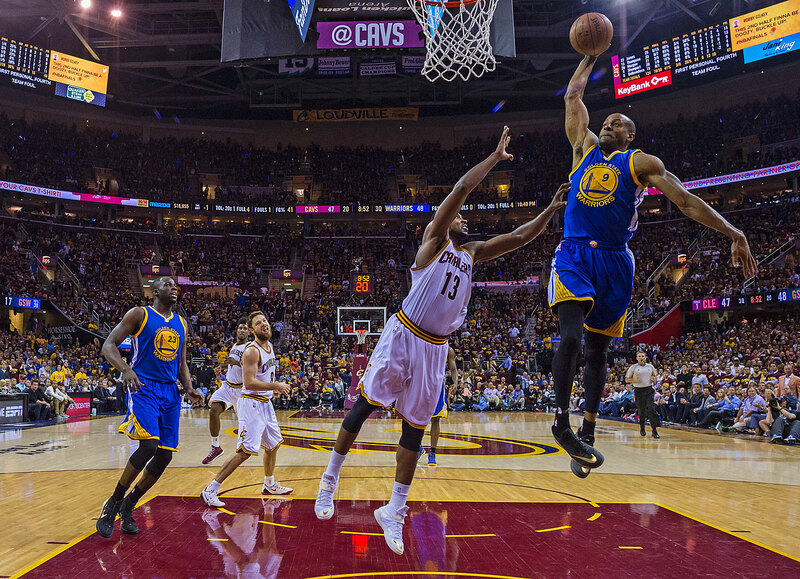 The Golden State Warriors defeated the Cleveland Cavaliers 105–97 Tuesday night in Cleveland to capture their first NBA championship since 1975. 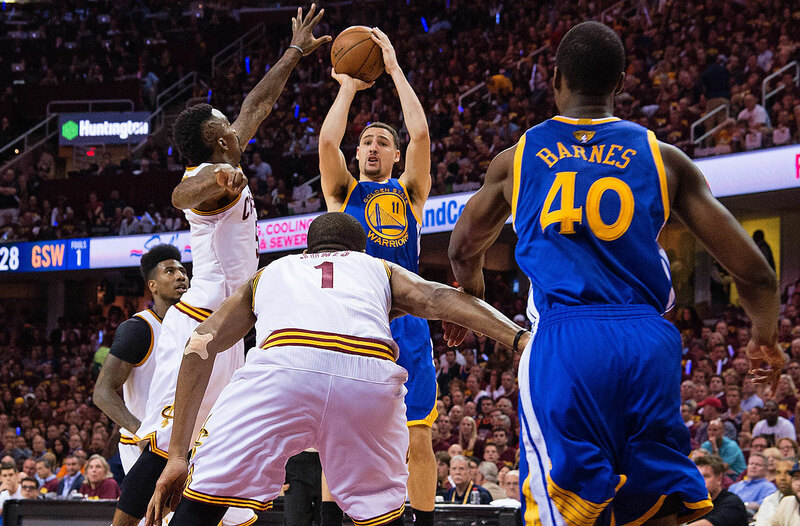 The Warriors grounded out the championship-sealing win, keeping the Cavaliers at bay by hitting four straight three-pointers in the fourth quarter. 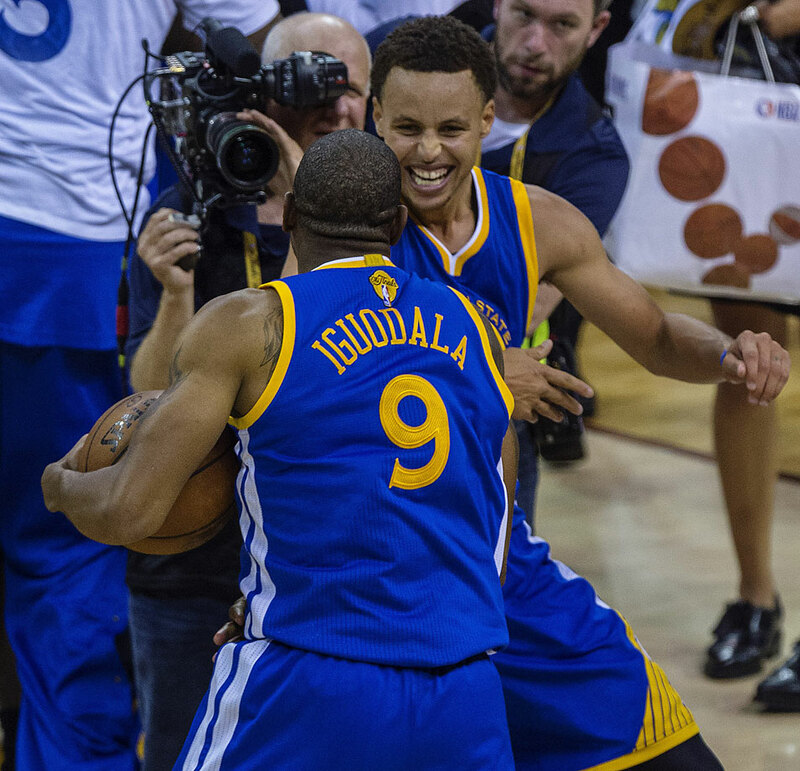 This was another team effort from the deep, talented Warriors squad: Stephen Curry led the Warriors with 25 points, eight assists and six rebounds, NBA Finals MVP Andre Iguodala added 25 points and five assists, and Draymond Green finished with a triple double, posting 16 points, 11 rebounds and 10 assists. 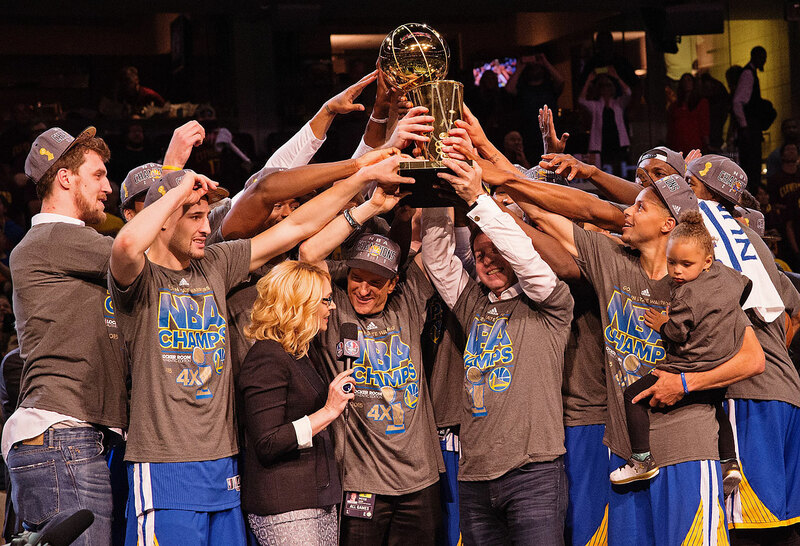 The victory sealed a dominant 2014-15 campaign for the Warriors, who went 67-15 during the regular season and 16-5 during the postseason. 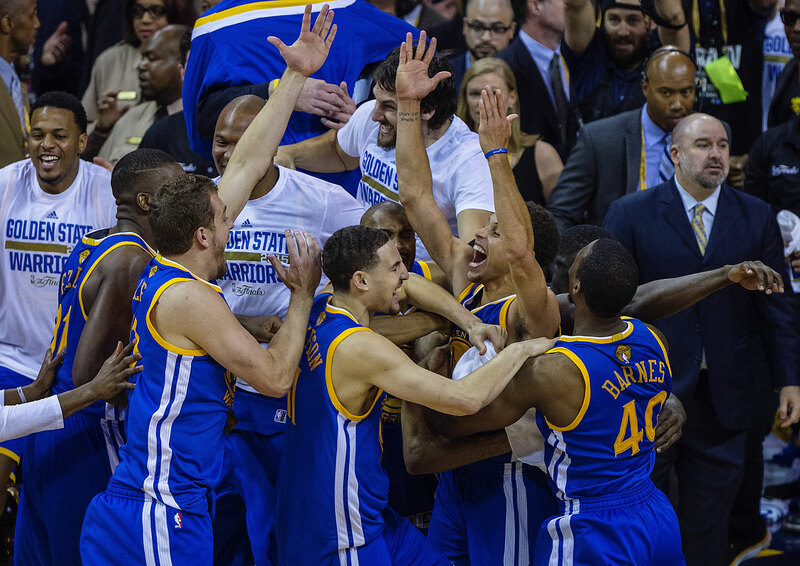 The Warriors swept the Pelicans in the first round, defeated the Grizzlies 4-2 in the second round, and beat the Rockets 4-1 in the Western Conference finals en route to their six-game victory over the Cavaliers. 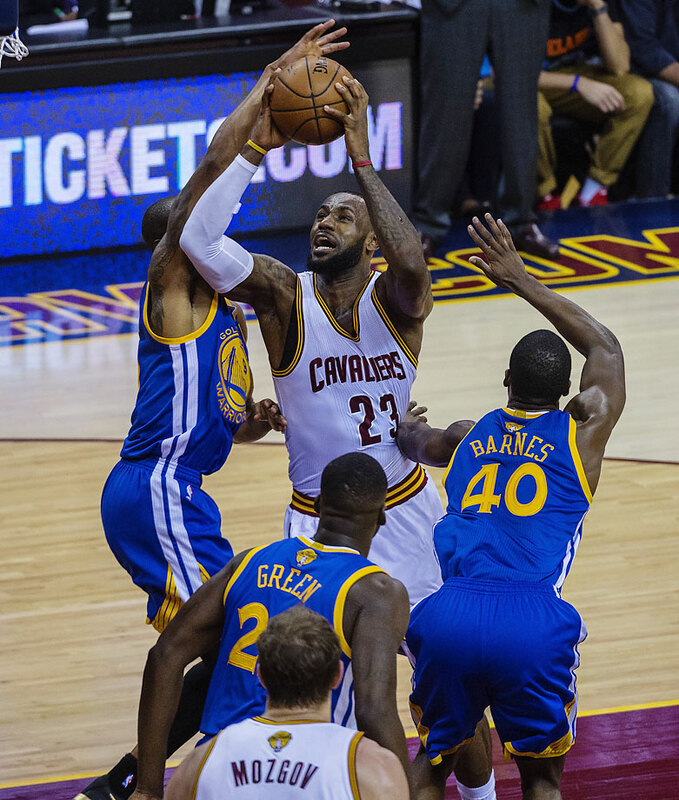 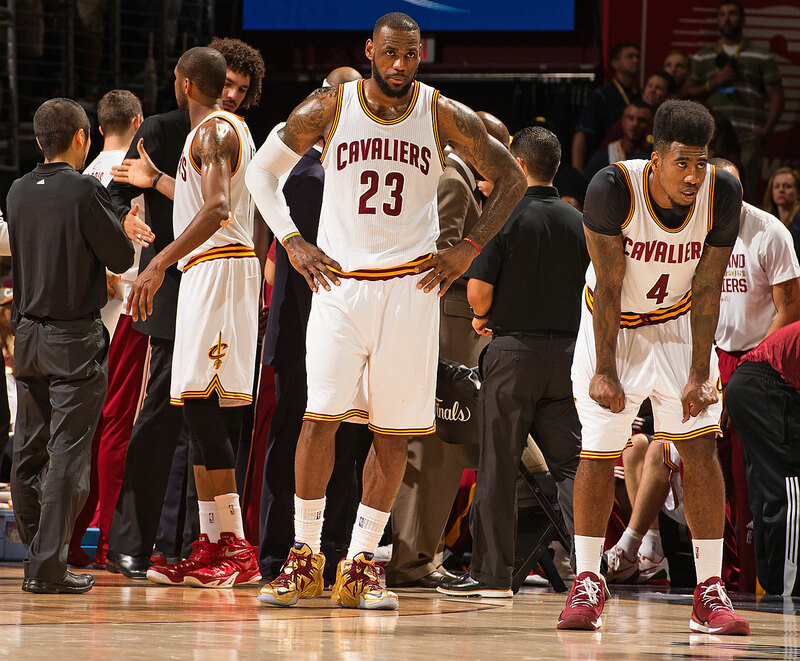 ​LeBron James led all scorers with 32 points, 18 rebounds and nine assists. 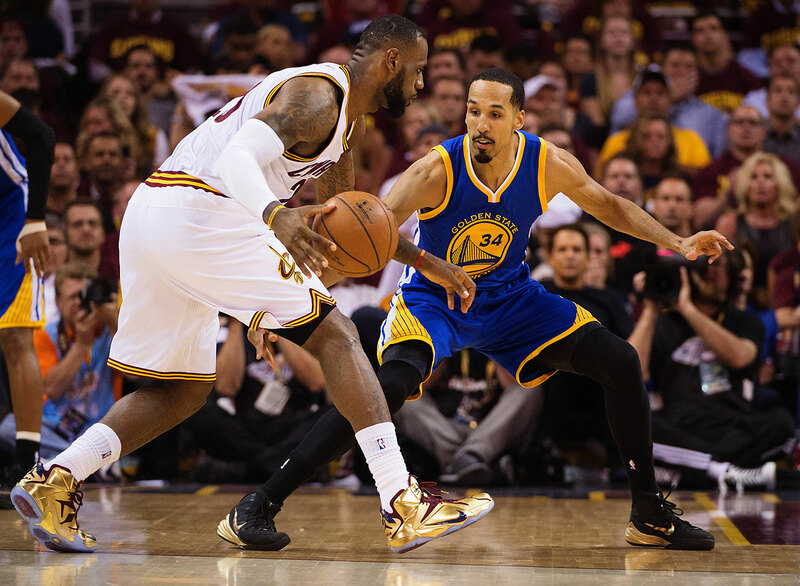 The four-time MVP falls to 2-4 in his six career Finals appearances. 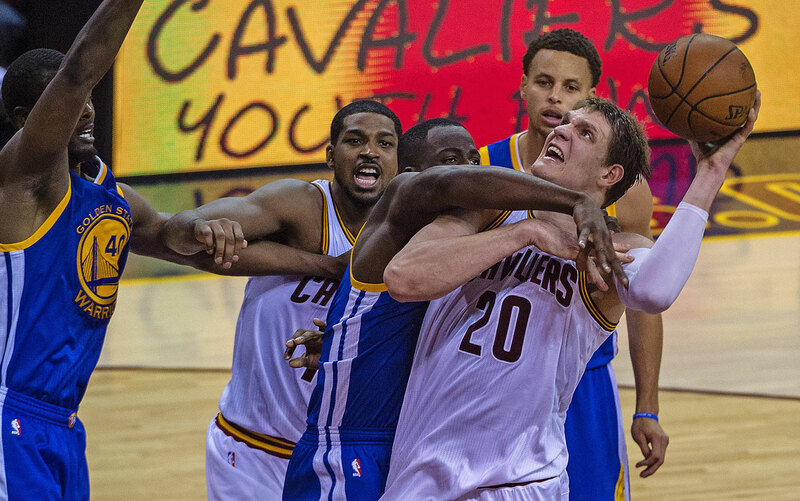 The Finals turned on Warriors coach Steve Kerr's starting lineup change in Game 4. 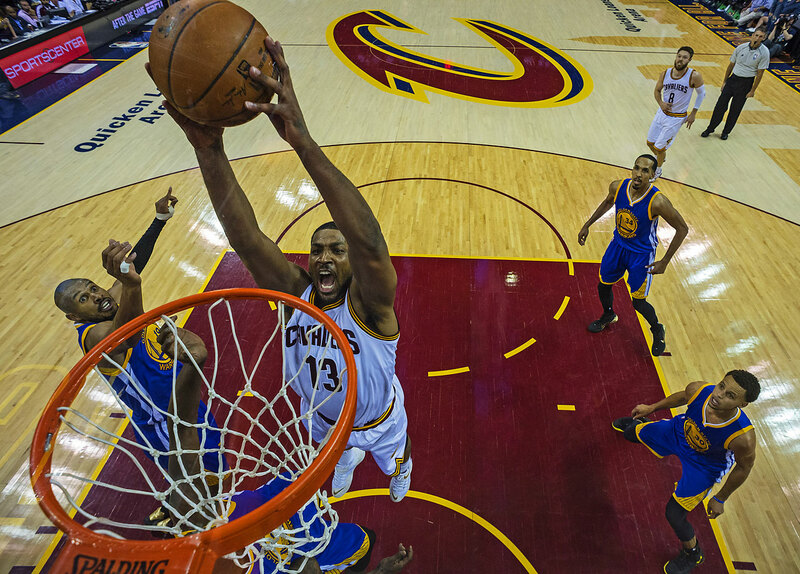 After falling behind 2-1 in the series, the first-year coach started forward Iguodala in place of Andrew Bogut, downsizing his lineup and forcing Cleveland into mismatches. 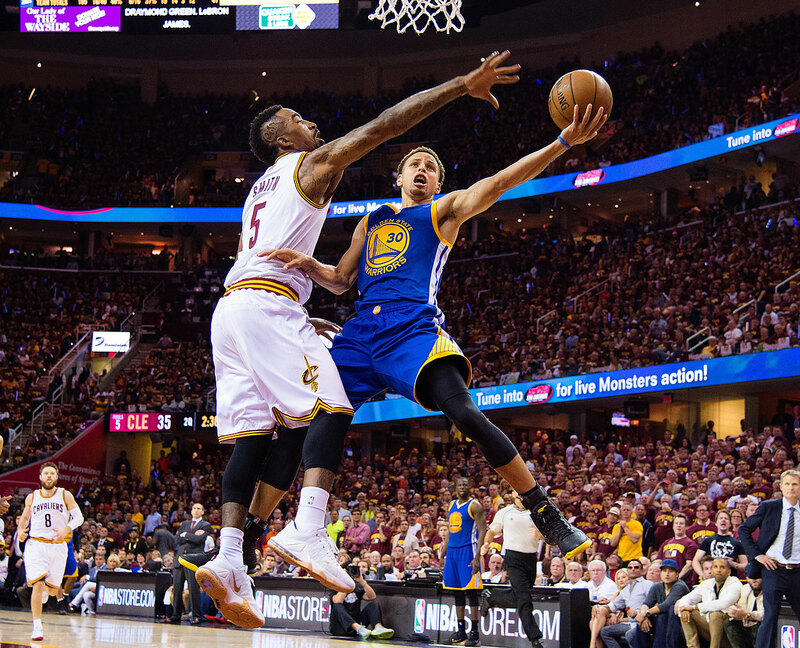 That move paid off with three straight wins, as the Warriors blew out the Cavaliers in Game 4, scored a double-digit home victory in Game 5, and closed the door in Game 6. 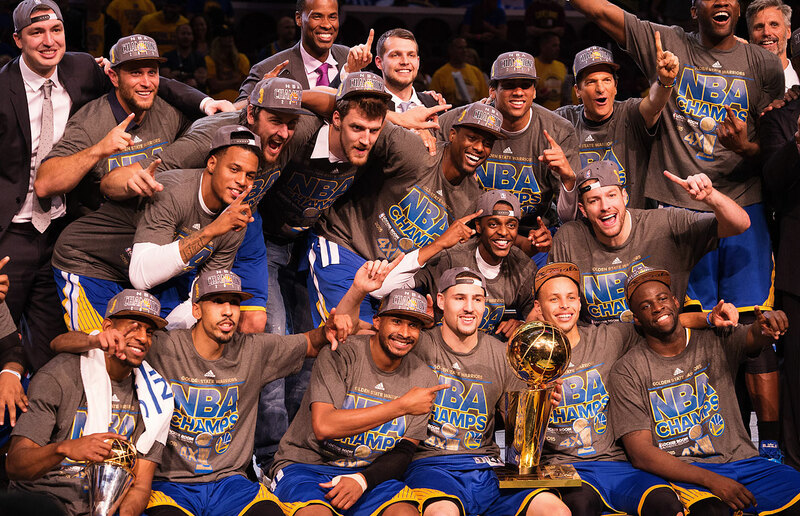 The championship marks the first title for every member of Golden State's roster.